The Causeway International Value (Trades, Portfolio) Fund released its fourth-quarter 2018 portfolio earlier this week. Warning! GuruFocus has detected 5 Warning Sign with XTER:LIN. Click here to check it out. The fund, which is part of Sarah Ketterer (Trades, Portfolio)'s Los Angeles-based Causeway Capital Management, was founded in 2001. Relying on a bottom-up approach based on fundamental research, the portfolio managers look for mid- to large-cap companies in developed international markets to achieve long-term capital growth. During the quarter, the fund gained a stake in Linde PLC (LIN) and divested of its Diageo PLC (DGE.L), A.P. Moller Maersk A/S (OSCE:MAERSKB) and Red Electrica Corporacion SA (REE.MC) holdings. Causeway gained a 1.6 million-share stake in Linde after its predecessor, Linde AG (DELISTED:LNA), merged with Praxair in October, giving the position 3.80% equity portfolio space. The stock traded for an average price of 114.31 euros ($129.81) per share during the quarter. According to the terms of the deal, Praxair shareholders received one share of Linde for each Praxair share held. Similarly, Linde AG shareholders who accepted the exchange offer received 1.54 shares of Linde PLC per share owned. As of the end of third-quarter 2018, Causeway owned approximately 1.3 million shares of Linde AG, representing 3.7% of the equity portfolio. The British chemical company, which manufactures industrial gases, has a market cap of 85.47 billion euros; its shares closed at 154.15 euros on Tuesday with a price-earnings ratio of 35.21, a price-book ratio of 8.02 and a price-sales ratio of 4.20. Linde's financial strength and profitability and growth were both rated 6 out of 10 by GuruFocus. In addition to having comfortable interest coverage, the robust Altman Z-Score of 6.37 indicates the company is in good fiscal health despite seeing a decline in revenue per share. 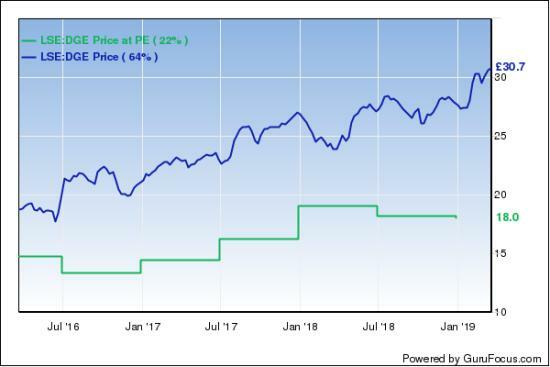 The company is also supported by strong margins and returns that outperform competitors and a moderate Piotroski F-Score of 6, which suggests operating conditions are stable. It also has a business predictability rank of one out of five stars, which, according to GuruFocus, means it sees its stock gain an average of 1.1% per year. The fund holds 0.30% of Linde's outstanding shares. The fund sold its 2.5 million remaining shares of Diageo for an average price of 27.41 pounds ($36.11) per share, impacting the equity portfolio by -1.09%. GuruFocus estimates Causeway gained 31% on the investment since establishing the stake in the third quarter of 2015. The London-based brewer, which produces well-known brands like Smirnoff, Johnnie Walker, Baileys and Guinness, has a market cap of 73.72 billion pounds; its shares closed at 30.64 pounds on Tuesday with a price-earnings ratio of 25.53, a price-book ratio of 7.91 and a price-sales ratio of 6.29. GuruFocus rated Diageo's financial strength 5 out of 10. In addition to adequate interest coverage, the Altman Z-Score of 3.71 suggests the company is in good standing financially. The company's profitability and growth fared much better, scoring an 8 out of 10 rating, driven by operating margin expansion, strong returns that outperform industry peers, a high Piotroski F-Score of 7, which indicates a healthy operating environment, and a 2.5-star business predictability rank. In addition to having consistent earnings and revenue growth, GuruFocus says companies with this rank typically see their stocks gain an average of 7.3% per year. Of the gurus invested in Diageo, the Tweedy Browne (Trades, Portfolio) Global Value Fund has the largest position with 0.32% of outstanding shares. David Herro (Trades, Portfolio), Bestinfond (Trades, Portfolio) and the Signature Select Canadian Fund (Trades, Portfolio) are also shareholders. After investing in A.P. 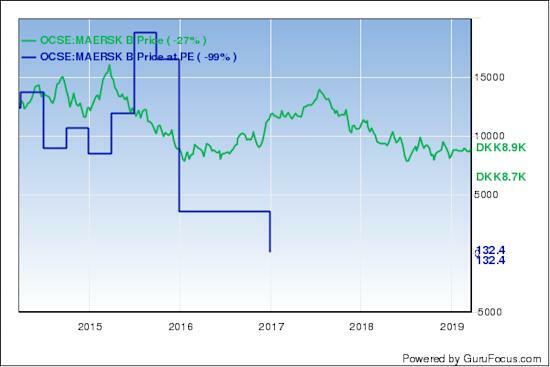 Moller Maersk in the third quarter, the International Value Fund dumped all 7,764 Class B shares for an average price of 8,621.41 Danish krone ($1,312.16) per share. The trade had an impact of -0.13% on the equity portfolio. According to GuruFocus, the fund lost an estimated 2.4% on the investment. 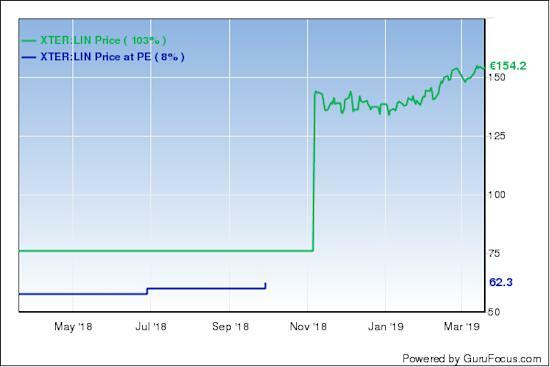 The Danish conglomerate, which operates in the transportation, logistics and energy sectors, has a market cap of 181.6 billion krone; its shares closed at 8,970 krone on Tuesday with a price-earnings ratio of 9.59, a price-book ratio of 0.84 and a price-sales ratio of 0.71. Maersk's financial strength was rated 5 out of 10 by GuruFocus. As a result of recording declining revenue per share over the last five years, the Altman Z-Score of 1.54 warns the company is at risk of going bankrupt. The company's profitability and growth scored a 6 out of 10 rating. Despite having declining margins and returns that underperform industry peers, the high Piotroski F-Score of 7 suggests the company is operating in a healthy environment. The Denmark-based company also has a one-star business predictability rank. Bestinfond (Trades, Portfolio) is the company's only guru shareholder with 0.13% of outstanding shares. Causeway divested of its 368,521 remaining shares of Red Electrica for an average price of 19 euros per share, impacting the equity portfolio by -0.09%. GuruFocus data shows the fund gained approximately 10% on the investment since establishing the holding in fourth-quarter 2017. 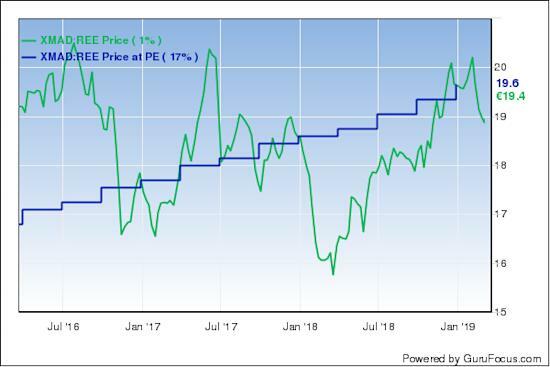 The Spanish utility company has a market cap of 10.55 billion euros; its shares closed at 19.54 euros on Tuesday with a price-earnings ratio of 14.92, a price-book ratio of 3.14 and a price-sales ratio of 5.42. The Peter Lynch chart shows the stock is trading near its fair value. GuruFocus rated Red Electrica's financial strength 5 out of 10. Although the company has issued approximately 178.5 million euros in new long-term debt over the last three years, it is at a manageable level due to adequate interest coverage. The Altman Z-Score of 1.41, however, warns the company is at risk of going bankrupt. The company's profitability and growth fared better, scoring an 8 out of 10 rating, driven by operating margin expansion, strong returns and a moderate Piotroski F-Score of 6. Despite recording a slowdown in revenue per share growth over the last 12 months, it has a three-star business predictability rank. According to GuruFocus, companies with this rank typically see their stocks gain an average of 8.2% per year. No gurus currently are invested in the company. Causeway's $6.88 billion equity portfolio, which is composed of 53 stocks, is largely invested in the financial services industry, followed by smaller holdings in the industrials, basic materials and health care sectors. According to its fact sheet, the International Value Fund returned -18.61% in 2018, underperforming the MSCI EAFE Index's -13.36% return.